Sh. Siddhanta Das, Director General of Forests and Special Secretary, MOEF&CC, inaugurated the renovated Silviculture Museum Gallery of Forest Research Institute, Dehradun, in the presence of Dr. S. C. Gairola, Director General, ICFRE and Dr. Savita, Director, FRI on 17 December, 2018.The renovation and modernization work of the museum gallery has been funded by Ministry of Culture, Govt. of India. The Silviculture Museum Gallery of Forest Research Institute, Dehradun presents an overview of the Evolution of Forests, Forest Genesis and Growth, Threats to Forests, and various Dioramas depicting the Forests of Tropical & Temperate region, Silviculture Systems, Ecosystem Services and Sustainable Forest Management. It also showcases different samples of seeds, roots, barks etc. along with various models on Forestry working and operations. 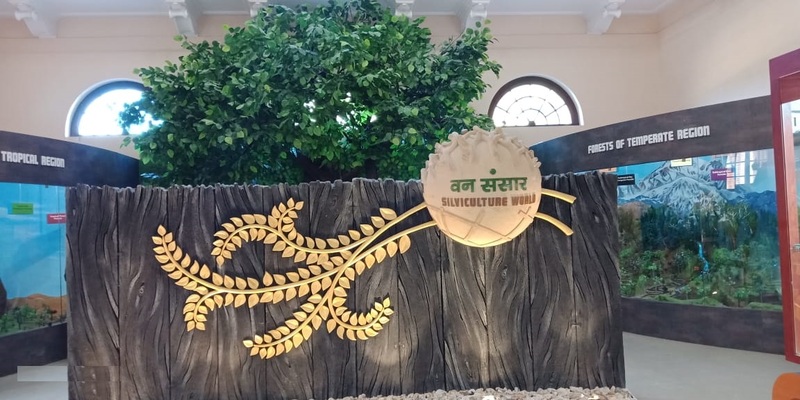 The Silviculture Museum Gallery showcases the evolution of forestry in India, importance of forests, threats to forests like Deforestation, Forest Fire, Shifting Cultivation, Invasive Plants, Adverse Climatic Factors, Insect Pests and Diseases, through creatively designed informative panels. It also highlights the accomplishments made in forestry along with the preparation & implementation of working plans for organized forest management.